Anti-wrinkle injections: How they work and what to have for each facial area. Used appropriately, they are very effective and often the first step people take to address their ageing concerns. However, their widespread use and administration by people with variable degrees of experience and them sometimes being offered in non-medical settings, has led somewhat to their trivialisation, with many people being unaware of them having, like all procedures, rare and serious complications. Apart from the potential aesthetically unbalanced faces that are becoming more widespread, injecting the face without experience and care can lead to disastrous consequences such as injecting into blood vessels and causing scarring, skin loss or as recently reported blindness. All well-equipped practices have a filler emergency kit to immediately dissolve product and improve blood supply in the very rare event of any such problems. Whilst risk can never be eliminated to zero, an experienced injector with a detailed knowledge of anatomy the best way to minimise this. Who can administer injectables in Australia? Both doctors and nurses can inject fillers or botulinum toxin, however, only doctors are able to prescribe these. Prior to prescribing these for a patient and them being injected, it is mandatory for the patient to have a consultation with a doctor. Do not get injectable wrinkle fillers from sources outside a doctor’s office. 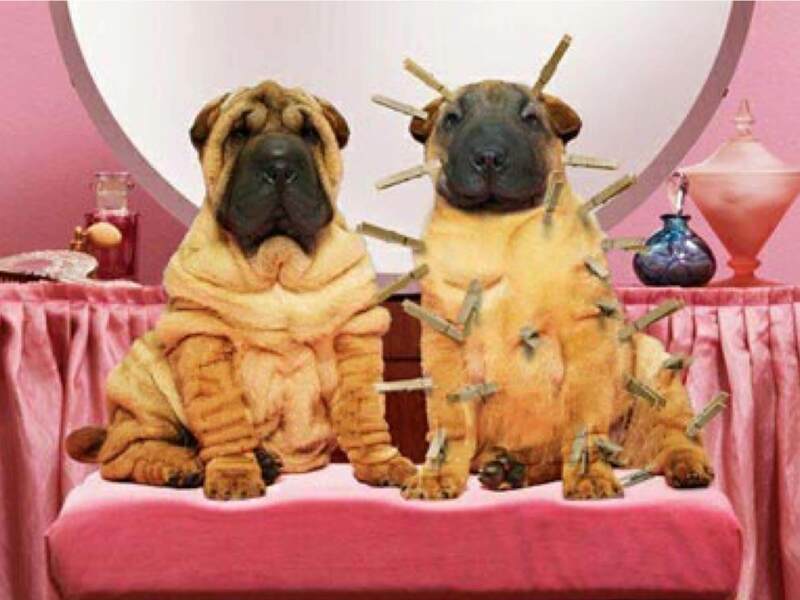 All wrinkle fillers should be done in a medical setting with sterile technique to minimise the risk of infection. What should you ask before having injectable anti-wrinkle treatments? It is worthwhile knowing the product and dose, especially if you are planning to have repeated injections. Ask which products are being used ie the brand of botulinum toxin and filler and how long it is expected to last. Do plastic surgeons perform injectables? Dr Simone Matousek not only does your facial assessment consultation, but also performs all injectables and follows them up herself. This is not delegated to anyone else in the practice. People often present with facial concerns that may not be best treated with injectables. It is an advantage to see someone who can give you all the options and alternatives. Dr Simone believes injectables are an integral part of the anti-ageing approach. Many people will opt for a combination of surgery and injectables or have injectables for a time before they opt for surgery or other treatments. Dr Simone’s careful involvement in your anti-ageing treatments from the very start means she is best able to understand your evolving facial concerns. A plastic surgeon understands facial balance and aesthetics through years of operating and studying detailed facial anatomy. They know exactly where to inject and the structures in the area that need to be avoided. 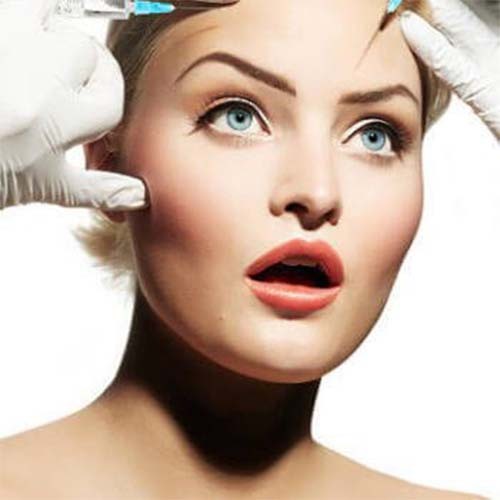 Filler and botulinum toxin injections are commonly performed in conjunction with other surgical procedures. How do fillers and botulinum toxin differ? People often confuse botulinum toxin injections and fillers, not knowing their exact effects or which one is best for their particular problem. They have quite different mechanisms of action and can either be used alone or in combination, depending on the area. Botulinum toxin work by relaxing the muscles in the area of injection by blocking nerve impulses. Despite being the most poisonous naturally occurring substance in the world, it is used in tiny quantities as an anti-wrinkle injections and has no adverse systemic effects with precise placement. Recurrent muscle contraction leads to wrinkle formation. By weakening muscle contraction, this softens the appearance of wrinkles. It usually takes 48-72 hours to begin to see improvement but may take up to one week in some people. Effects last around 3 months. However, with each repeated injection most people find that when the wrinkles return they are less pronounced and also less frequent injections are needed. This is because repeated muscle contractions, which result in wrinkles developing and becoming deeper, have been prevented. Botulinum toxin is administered with a series of accurately planned injections into certain points in the muscles with an extremely fine needle. The number and site of injection depends on the size and depth of the muscle being treated. Hyaluronic acid is a carbohydrate which occurs naturally throughout the human body. It is found abundantly in the extracellular fluid of our tissues and in the greatest concentrations in the skin. Hyaluronic acid exhibits no tissue or species specificity which is means the risk of any potential immune reactions is minimal with hyaluronic acid fillers. Hyaluronic acid is highly hydrophilic, that is, it attracts water. The fact that it binds water gives it a stiff viscous quality similar to a gel.Collagen gives the skin its firmness and it is hyaluronic acid that nourishes and hydrates the collagen. Young skin is smooth and highly elastic because it contains high concentrations of hyaluronic acid. As we age, the body loses its ability to maintain this same concentration in the skin. This means the ability of the skin to remain hydrated reduces and skin becomes drier. Filler is composed of hyaluronic acid, the same stuff that is in our extracellular fluid. Filler is best used for areas of volume loss and static or deeper lines. Fillers vary in the size of the hyaluronic acid particles, their degree of cross-linking and other properties which makes different types suitable for different areas. Fillers work by a number of mechanisms. A major part of ageing is volume loss and fillers restore volume loss through the product itself and its hydration (due to its affinity for holding water). This is why it is good to start slowly; swelling can be variable with different fillers and can occur some fluctuate some weeks after injection.The injection technique can stimulate new collagen formation. A needling criss-crossing technique is effective for treatment of deeper wrinkles with multiple small injections placing tiny volumes of filler along the wrinkle and breaking up the line. This is quite a different technique than when it is used for areas of volume loss, such as the cheeks or chin, where it is placed deep, often with a cannula (a blunt injection instrument) which minimises bruising. Botulinum toxin can enhance the effect of fillers where recurrent muscle contraction is a causative factor of the wrinkles (eg in the frown line or the lower face). This is possibly the greatest concern people who have never tried one of these treatments. 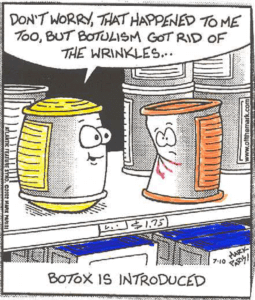 Often they blame botulinum toxin or filler. Strange appearances can occur from either product, from overuse or inappropriate treatment for the problem or site. Correcting volume loss and simply replacing what has been lost and softening lines, will not make you look strange. Subtle enhancement so long as the correct balance in features such as the lips and cheeks is maintained, should also not be obvious. Too much botulinum toxin or incorrect injection can lead to difficulty with facial expression such as smiling. This can lead to compensatory movements which create lines in other sites that were not previously there. For example, “bunny lines” occur around the upper nose which occur from scrunching the nose from excessive paralysis of the crows feet area when there is inability to smile fully. The outer brow can peak and look excessively high (known as “Spocking” from Spock in Star trek if the balance of forehead injection has been incorrect. Botulinum toxin effects usually wear off within 3 months. Generally, over time, the need for botulinum toxin decreases with injections being able to be spaced further apart with a lesser dose. This is because by reducing muscle contraction in certain areas where it is habitual for some people (such as raising the eyebrows and frowning) eventually the recurrent movement is unlearned whilst the muscle is paralysed. Good skin care and other procedures such as broadband light or laser can also help improve results and reduce the need for injections. Fillers vary in how long they last and this depends on the site and the formulation used; this can be anywhere from 6 months to 2 years. However, even after the product has disappeared, you never go back to zero with a filler. There is new collagen synthesis with filler injection, which means that in certain areas with repeated injections, less product is required.Of course it does not stop the normal ageing process occurring but by replacing lost volume it can prevent the skin sagging and reduce wrinkle formation. The overwhelming advantage of hyaluronic acid fillers is that they can be dissolved in the rare event they cause problems such as lumps, or if a patient does not like their appearance. Permanent fillers do not have this option and if a patient has a reaction to a permanent filler, the consequences can be very difficult to eradicate (they usually require surgical removal) and it can lead to scarring of the face. The only permanent filler that is safe to use if a patient’s own fat. At what age should I commence injectables? Injectables can actually be ageing if performed poorly or too early. Some people start anti-wrinkle injections very early believing wrinkles can be prevented, even if they have no visible lines at rest. This is unnecessary and at this stage, skin care and other treatments are better as a preventative measure rather than paralysing the face. Over time if the face if excessively paralysed, compensatory lines develop in odd patterns I the remaining non-paralysed areas. For example, a common effect of being unable to make a full smile due to excessive paralysis of the crow’s feet area are “bunny lines”; scrunching at the top of the nose instead of raising the corner of the mouth. Fine lines can develop above the outer brow too if the central forehead is excessively paralysed. A small group of people may get forehead lines earlier than average, such as the frown line or forehead if they happen to have very expressive faces, raise their eyebrows a lot when speaking, or frown recurrently when concentrating. If lines are present at rest (when there is no facial movement) that are fairly deep, injections of botulinum toxin can help unlearn the recurrent muscle contractions and gradually soften the lines. Whilst the wish to do things like enhance ones lips or cheeks is entirely personal, badly done obvious work is ageing. One needs to only look at certain “celebrities” to see that adding too much volume looks odd and certainly does not make someone look younger or better. Fat vs filler which is better? This really depends on the situation. Fat is permanent in someone with a stable weight. It may not be suitable for someone who fluctuates in weight or intends to lose weight. Fat needs to be injected in an operating theatre and requires a liposuction site (although the amount required is minimal for the face). Fat grafting of the face is a great solution if you are having another operative procedure. As a stand alone procedure for one site, it can be expensive and complex where filler can do a similar job. Facial fat grafting is a good solution if undergoing other procedures, however can be more expensive and requires surgery in the operating theatre. “Fat grafting to the face”. Filler in most areas gives equivalent results although it lasts less than fat as it dissolves. The fat that takes after surgery remains permanently; usually about 60% of what is injected into the face remains. One advantage of fat is that it does not give a Tyndall effect (when injected close to the surface some fillers can give a bluish tint in the lower eyelid region). How do brands of injectables vary? Botulinum toxin formulations vary in how many units you need in a particular area and are not equivalent between brands. If the correct dose is injected of an approved brand, the effects should be the same. Therefore if a price per unit appears cheap, it may be a product that requires more units than another depending on the brand. Hyaluronic acid formulations vary in their degree of cross linking and hyaluronic acid concentration, which determines how long they last and how much swelling occurs. There are many different hyaluronic acid fillers on the market. There are not many scientific studies on the differences between them; most injectors will select products they have experience in injecting and that give them consistent results. What is the best anti-wrinkle treatment treatment for different sites? For an effect on multiple fine lines everywhere in the face, profractional laser and resurfacing laser are excellent solutions and complimentary to injectables. They provide generalised skin tightening and stimulate collagen synthesis. In some areas, such as the upper lip and lower eyelid where there are multiple fine lines, they are superior to injectables. Broadband light facials also reduce fine lines over time; three treatments a year will have a similar rejuvenating effect to a light profractional laser treatment. Venus freeze radiofrequency skin tightening is a good solution for the neck and lower face skin laxity. Below is a diagram summarising the best treatments for sites in the face and neck. In the event of a true trough, very small amount of filler or fat (this area is prone to swelling and visibility if too much product is placed). Sometimes there is an outpouching above the trough area due to a loose orbital septum creating a “bag”; depending on the anatomy, the appearance can be softened with filler or fat below the bag, Addressing the “bag” involves a lower eyelid operation called a “septal reset “, can be performed with invisible scar inside the eyelid (“transconjunctival blepharoplasty”). Multiple fine lines are best addressed with laser as a non-surgical treatment. Lower eyelid lift or blepharoplasty through a cut in the lower eyelid crease is an alternative. Volume loss can occur early here if there has been massive weight loss or in people who exercise a lot, filler can be effective in restoring loss. A small amount of botulinum toxin can help upper lip lines and also evert or bring out the upper lip. For multiple fine lip lines, laser treatment works best. Possibly the most overdone and poorly injected area around. Most obvious injections occur from too much volume but also the lwrong volume balance, creating a long a protruberant ducky upper lip. Placing too much product above the red portion of the lip exacerbates this or trying to address multiple fine lines in the white portion of the upper lip with filler. Lip balance must be maintained ie the lower lip is naturally bigger and protrudes more than the upper lip. In an attractive lip, and the Cupid’s bow should be maintained not obliterated; an upper to lower lip ratio of 1:2 was found to be the most attractive. These are lines extending obliquely from the corner of the mouth to the lower chin. Botulinum toxin can inject the depressor muscle which pulls the corner of the mouth down leading to a “sad” appearance. This combined with filler to address the line works well. Laser also helps reduce these lines. Loss of chin volume or an underprojected chin can be treated with filler. “Cobblestoning” of the chin where the chin wrinkles up when people speak or have an overactive mentalis muscle can be addressed with botulinum toxin. Platysmal bands are areas that appear under the chin when the platysma muscle (large muscle that runs along the front of the neck) is separated in the midline (in a percentage of people); tensing the edge of it causes a band. Botulinum toxin injections can soften this band as it stops the recurrent muscle contraction. For loose skin or fine neck lines, radiofrequency treatment, such as the Venus freeze can be effective. How often do I need to return for treatment? As often as the problem with which you came for returns! Sadly, despite our best efforts gravity and volume loss continue with the ageing process. However, there is good evidence that regular treatments can slow this down. Treatment is usually able to be done on the same day if requested at the time of appointment. Botulinum toxin is usually injected with a very fine needle and treatments are tolerated with pre-icing and do not need anaesthetic. Very strong topical anaesthetic is applied for one hour prior to filler injections. This makes the procedure very comfortable, especially around very sensitive areas such as the lips. The filler also comes premixed with anaesthetic so the numbing effect is even stronger once injections are commenced. How do I minimise bruising and down time? Icing is very important. You can remain in the office for icing following your treatment or continue it at home. Arnica cream or droplets does help minimise bruising, especially around the eyes. Stop all anti-inflammatories and drugs such as fish oil which can increase bruising or bleeding. These need to be stopped for 10 days for the effects to wear off and reduce your bruising risk. Some treatments create more downtime than others. For example, treatment of deep lines in the forehead and nasolabial region involves a needling technique which almost always creates bruising. Lips and around the eyes are more prone to bruising than treatment of the cheeks or chin. Swelling of the lips can take 2-3 days to settle prior to being completely publicly presentable. How can filler be removed if there is a problem? There is a substance called hyaluronidase which targets hyaluronic acid filler. If precisely injected, the filler dissolves immediately. It can cause significant swelling following the procedure in some cases but this eventually settles. Dr Simone abides by her motto “Look refreshed, not ridiculous. If it is your first time having an injectable with Dr Simone she usually sees you at one to two weeks to check results, and adjust if effects have not been exactly as desired, or you need a little more. Dr Simone has specifically developed a skin care range Wrinklase® that works by a similar mechanism to commonly used injectables botulinum toxin, however works via absorption of a non-toxic peptide through the skin, without the needles. It contains a concentrated stability tested unique combination of actives that also work to boost your own body’s collagen synthesis and hydration. Key skin care ingredients how do they work?Read Dr Simone’s guide to evidence based skin care.